This iconic monument, symbolically placed directly across from the former mansion of Confederate General Robert E. Lee and built combining stone from states on both sides of the Mason-Dixon Line, would become the stage for the Civil Rights Movement and more recent protests. 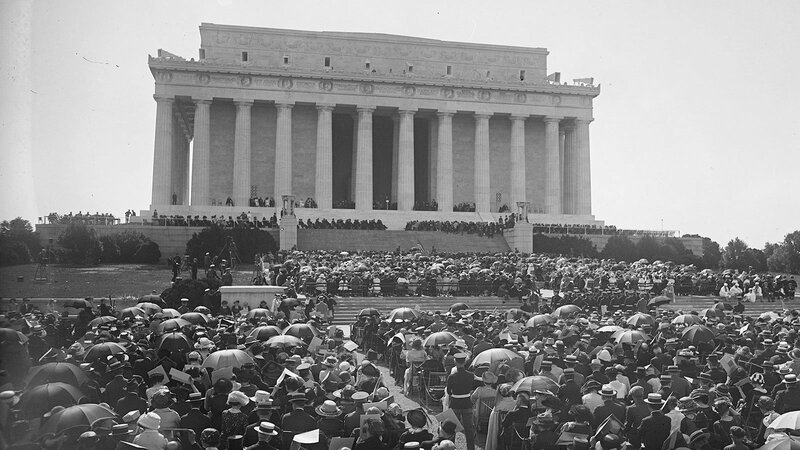 On May 30, 1922, a large crowd gathered for the dedication of the Lincoln Memorial on the National Mall in Washington, D.C. In fact, the dedication ceremonies were briefly delayed when some of them refused to be seated there and left in protest. 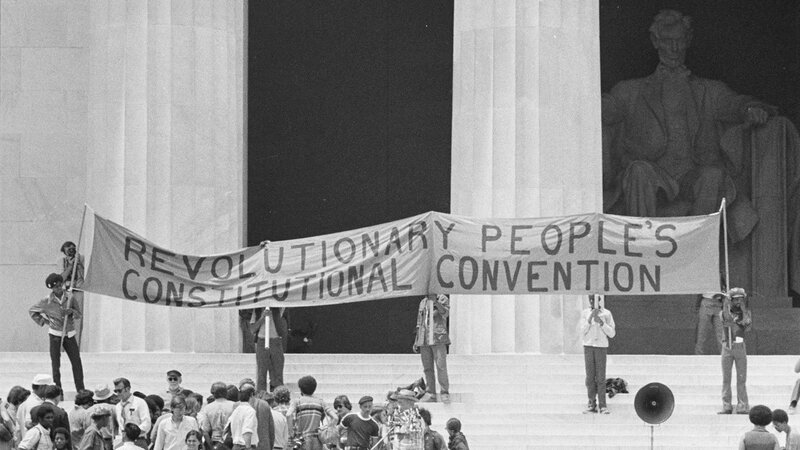 And so it was that the Lincoln Memorial, designed to exude and celebrate national unity, also became a temple of dissent. During a decade of planning, careful attention was given to ensuring that the memorial would avoid controversy, make only indirect references to slavery and other still divisive topics, and instead celebrate the unification of the nation. The location of the memorial was chosen for its symbolism. 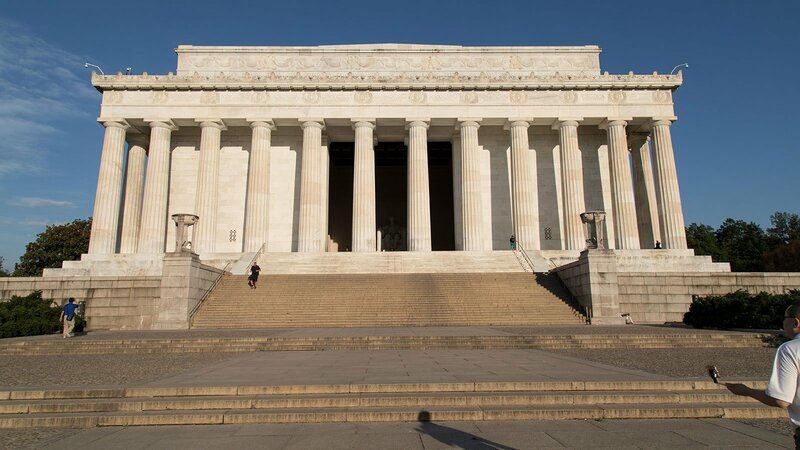 The architects of the National Mall had envisioned a monument to Lincoln on that site, visible from both the Capitol dome and Arlington National Cemetery, which holds the graves of both Union and Confederate soldiers, and next to the Potomac River, the former dividing line between the Union and Confederate territories. A memorial bridge would be constructed across the Potomac to join those two spheres and mark a new era in that relationship. 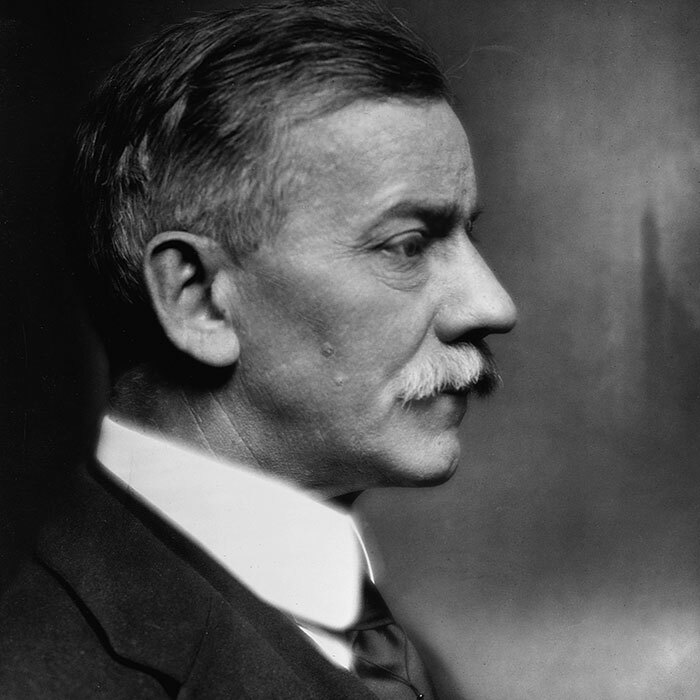 For the building itself, architect Henry Bacon emulated a Greek temple in an homage to the ancient founders of democracy. 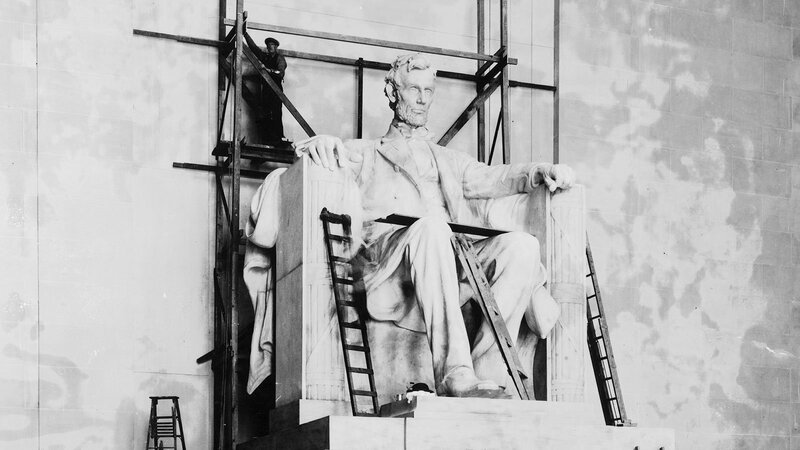 But while the Greek temples held idols, this would hold the likeness of Abraham Lincoln, crafted by sculptor Daniel Chester French. 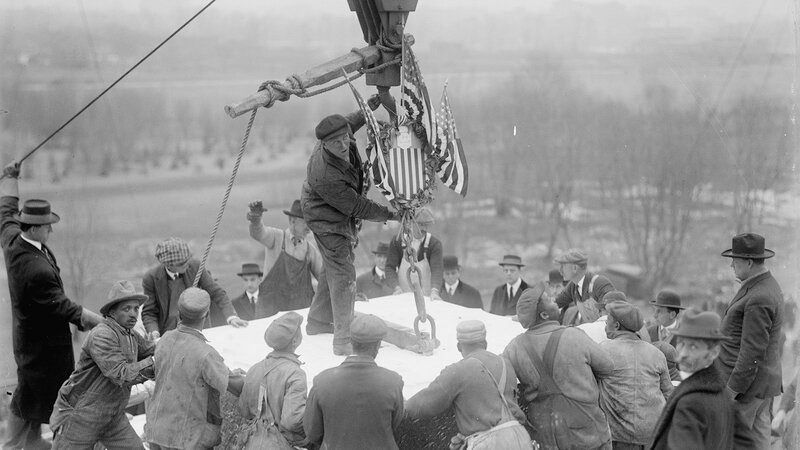 Ground was broken for the memorial on February 12, 1914. Because the massive structure was to be built on reclaimed tidal marshes, its steel and concrete foundation is held in place by massive piers that sink up to 65 feet into the bedrock below. To further reinforce the concept of unity, the monument would combine stone from six states on both sides of the Mason-Dixon Line. On either side of Lincoln are texts from two of his most famous speeches: his second inaugural and the Gettysburg Address. 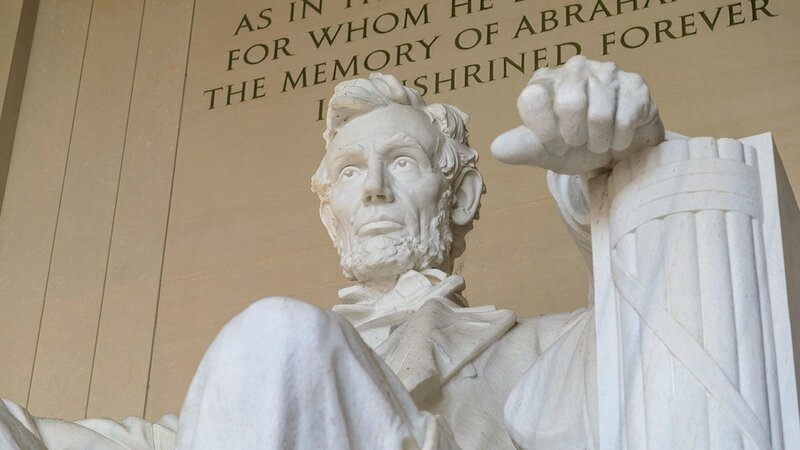 The Emancipation Proclamation is, notably, nowhere to be found. In fact, the only reference to slavery is in one of the murals by Jules Guerin, which portrays two recently freed slaves. Historian Lonnie Bunch said that the decision to set aside the civil rights issues, which continued to deeply divide the country when the monument was under construction, was deliberate. 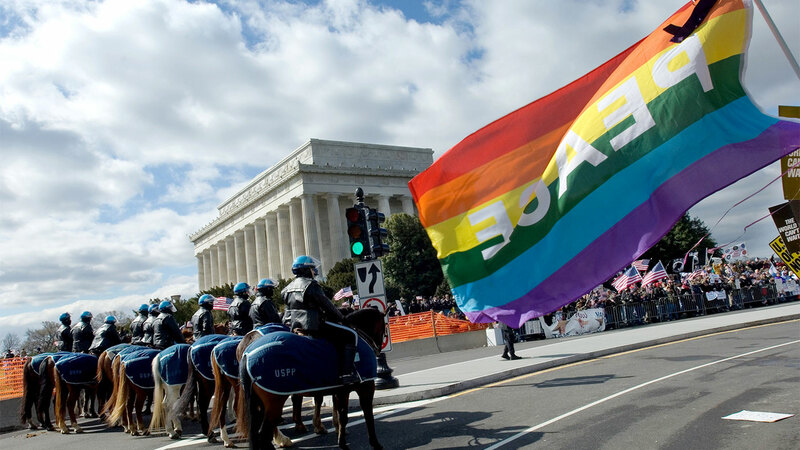 But the way the memorial, and the space surrounding it, have been used since the memorial’s dedication is an enduring reminder that dissent might be even more vital to a democracy than unity. 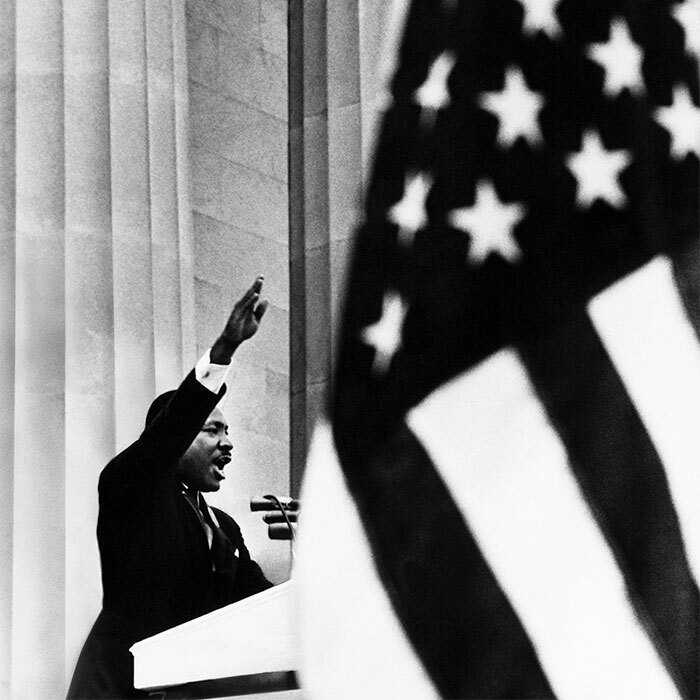 The first time national attention was drawn to the site as a scene of protest was on Easter Sunday, April 9, 1939. 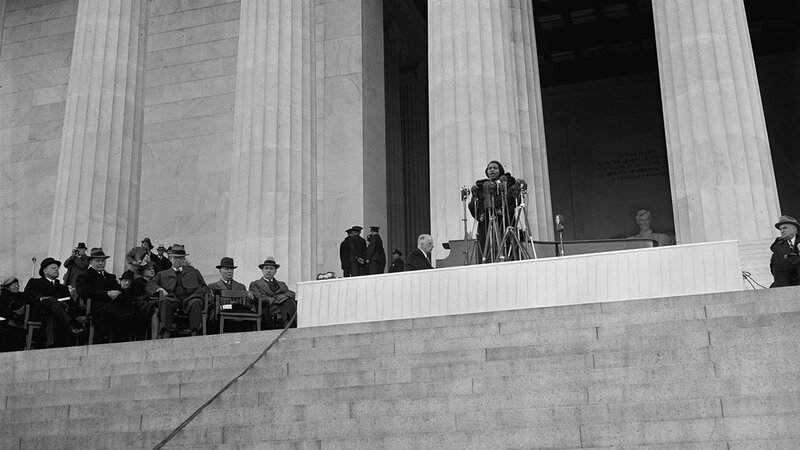 After the Daughters of the American Revolution refused to allow world-famous, African American contralto Marian Anderson to perform at their hall, the Roosevelt administration arranged for her to perform instead in front of the Lincoln Memorial. 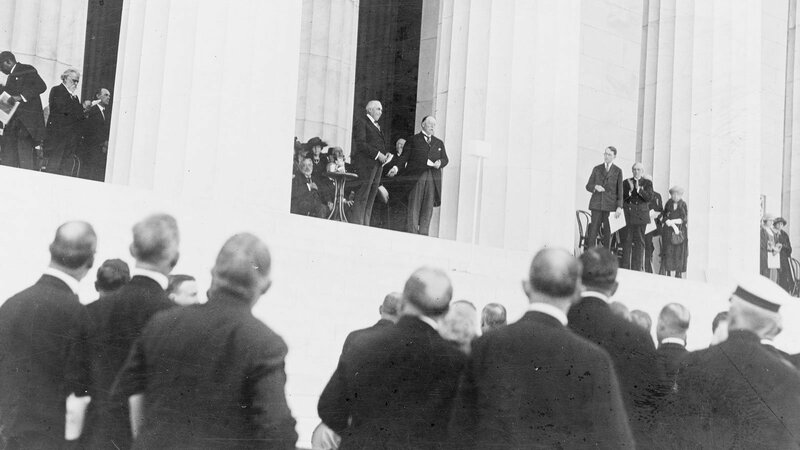 First Lady Eleanor Roosevelt was in attendance. The location has continued to be a sacred space for Americans fighting to further the ideals of democracy – in 1970, during a candlelight vigil following the Kent State shootings; in 1979, as the relatives of American hostages in Iran gathered to show their resolve and ask for the release of their loved ones; and in 2007, when thousands gathered there before launching a march to the Pentagon to protest the war in Iraq. 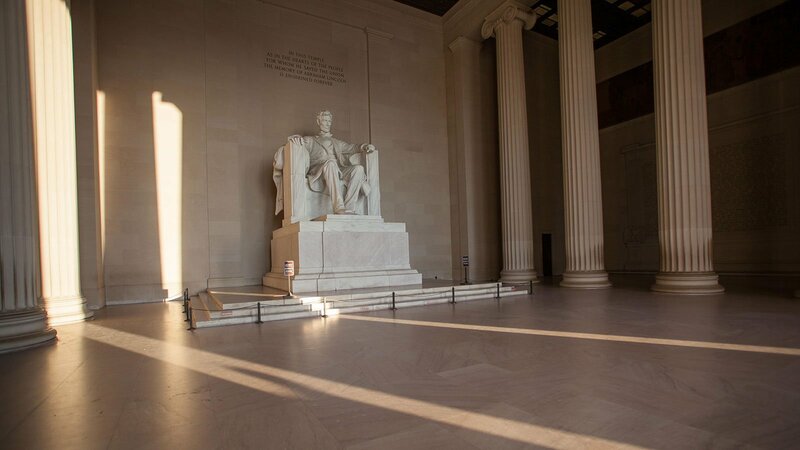 Today, in a city filled with monuments, the Lincoln Memorial continues to stand apart, both in its grandeur and in the place it holds in the American imagination. 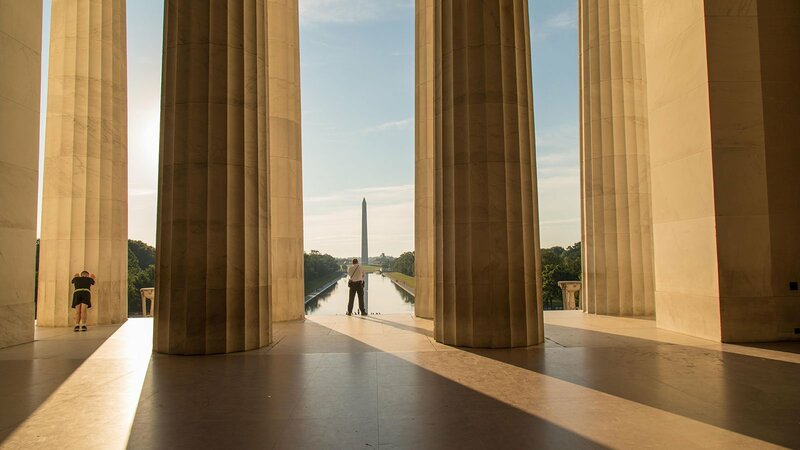 It draws thousands of visitors each year – people who come to reflect on where we’ve been as a nation, the virtues that we hold in common, and the work that remains to be done to achieve our democratic ideals.